This book can give any Java developer -- regardless of experience -- the firm foundation they need to achieve the full benefits of object-oriented programming. 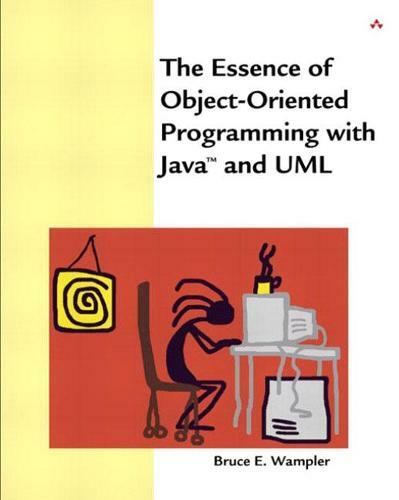 The book combines practical introductions to UML, object-oriented methodologies, design patterns, libraries, and frameworks -- giving developers all the skills they need to begin writing robust object-oriented programs -- and to tackle the entire field of object-oriented development. Leading developer Bruce Wampler begins with a brief introduction to objects and their benefits; then introduces the fundamental concepts of object orientation and shows how they can be implemented in Java -- starting with the basics, and moving on to advanced topics such as object lifetime and copies of objects. He moves on to Object-Oriented Analysis and Design, introducing the essential concepts at the heart of every methodology. Next, he presents the essence of today's leading techniques for building effective object-oriented Java systems -- including design patterns, refactoring, and more. Wampler concludes by drawing on his decades of development experience to share powerful personal guidelines for creating more effective software. For all application developers who know at least the basics of Java, and are seeking to strengthen their object-oriented programming skills.